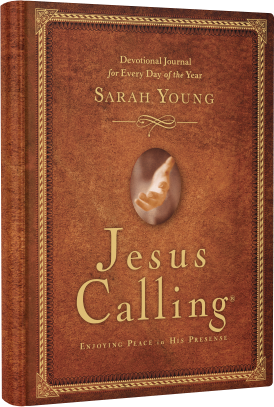 In this bestselling devotional, readers will receive words of hope, encouragement, comfort, and reassurance of Jesus’ unending love. Each devotion from Jesus Calling is followed by Scripture references, a journaling prompt and lines for writing your own thoughts and prayers. Find Peace in His Presence.